Rose and Scorpius. . Wallpaper and background images in the Rose and Scorpius club tagged: rose weasley scorpius malfoy confession fan art. 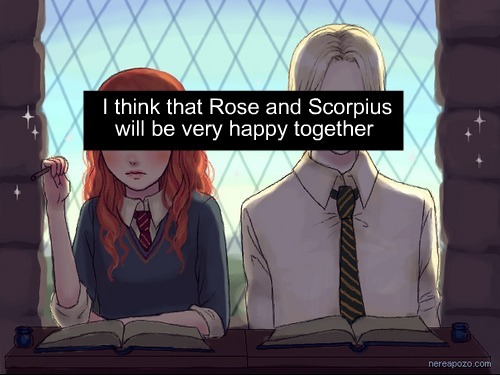 This Rose and Scorpius fan art contains grillage and clôture grillagée. There might also be costume d'affaires, costume d’affaires, anime, bande dessinée, manga, and dessin animé.